Amendment and Termination Forms Required if removing tanning beds, changing registration, or terminating business. Tanning Forms and Information Required for operation and other guides. Service Provider List List of service companies registered to sell and service tanning equipment in NC. 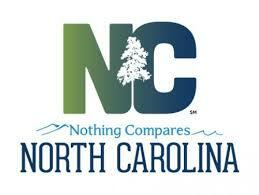 **(NEW) This form must be returned by August 1st by all companies that are registered to provide tanning services in NC. Service Provider and Trainer Application Distributors, Trainers, and Service Technicians must register prior to providing service within the State of North Carolina. Service Termination Form For service providers going out of business. Service Company Instructions Informs potential distributors of the information required by this agency. Service Class Listing This list includes all tanning equipment distributors, service technicians, and operator trainers that are registered to perform service, sale or teach in North Carolina. Quarterly Sales Report Letter Informs the service provider with information our agency requires. Quarterly Sales Report Form Required of sales providers quarterly.